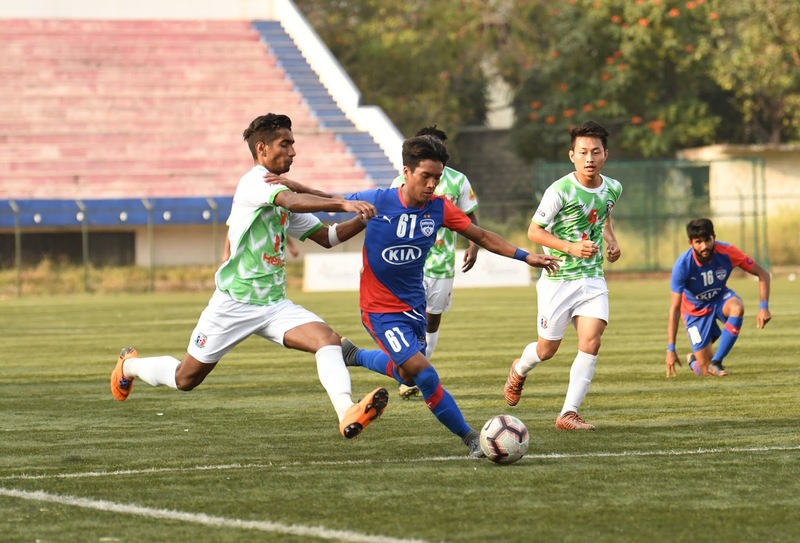 Bengaluru FC Reserves extended their winning run to three games, hammering Delhi-based Hindustan FC 8-0 in a completely one-sided affair at the Bengaluru Football Stadium, on Friday. The win took Bengaluru’s tally to 9 points as they cemented their position at the top of Group-A standings in the Hero 2nd Division League after they sealed their biggest ever win in the competition. While Naushad Moosa’s boys controlled the entire game, it was a brace each from Parag Shrivas (16’, 43’) and Leon Augustine (51’, 57’) along with goals from Advait Shinde (11’), Myron Mendes (20’), Emanuel Lalchhanchhuaha (60’) and Altamash Sayed (61’) that gave Bengaluru a well-deserved win. Dominating proceedings from the word go, BFC broke the deadlock in the 11th minute through a set piece. Altamash found Myron on the right, whose low cross into the box was finished off by Advait on the second attempt after his first was blocked by the ’keeper. Five minutes later, Myron with a long ball found Parag free on the left who ran past his marker before finishing off at the far post with a low finish. Bengaluru struck four in quick succession in the opening quarter of the second half. First it was Leon who poked home from close on Advait's pass after Myron's effort from outside the box came off the crossbar in the 51st minute. Six minutes later, he completed his brace tapping home Parag’s low ball in from the left. 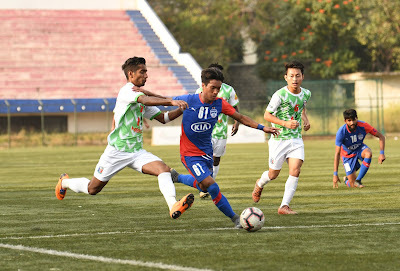 The league now breaks for three weeks with Bengaluru Reserves resuming their campaign with an away game against Hindustan FC in Delhi on February 25.